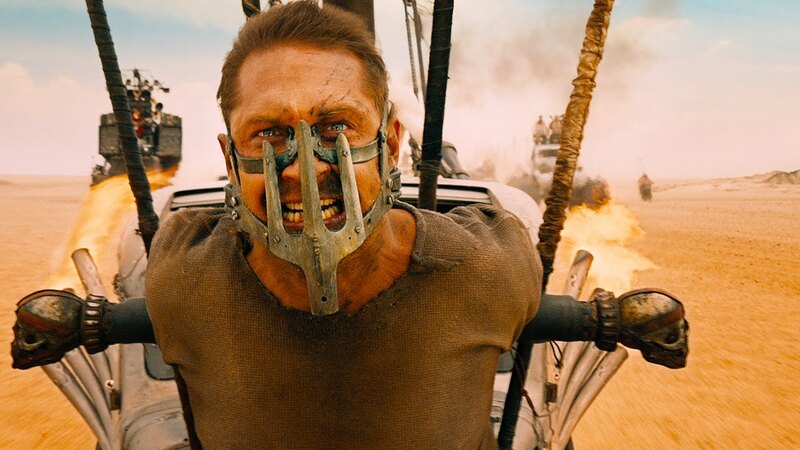 Every year when I go to assemble this year end list I tell myself not to lament the current state of film (because I really did enjoy myself at the cinema this year) but 2015 was an especially pitiful year with disturbing, reprocessing trends which should not be ignored. 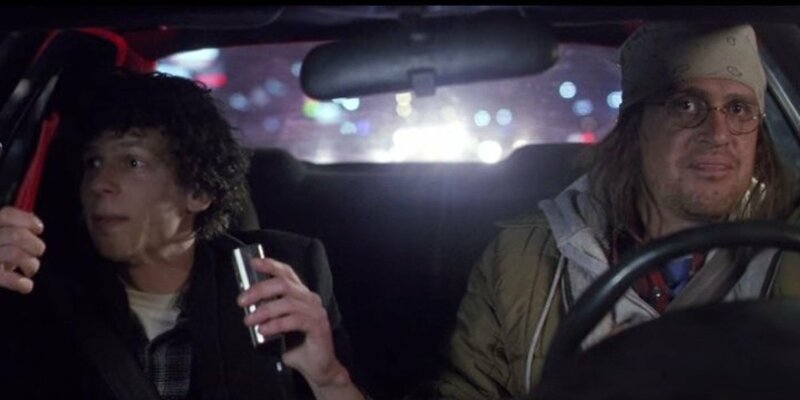 Major studios laughed all the way to the bank this year submitting stale rehashes of past hits (Jurassic World, Star Wars, The Hateful Eight, any Marvel humiliation) for audience consumption and even some critical darlings (The Martian, Creed) were just reinvigorated revisitations of tested and by the numbers stories. Further, monotonous indistinguishable “indies” continued to muddle to market along with an incalculable number of straight to stream projects. With that being said, the year offered much to appreciate. Mad Max seemingly took everyone by storm early on and it magically perpetuates as an awards favorite. 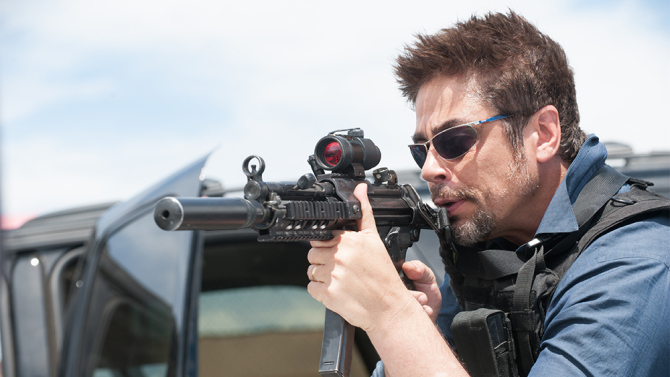 Sicario was a pulse pounding thriller of a different ilk as was Phoenix, a post WWII thriller done in a much more somber key. 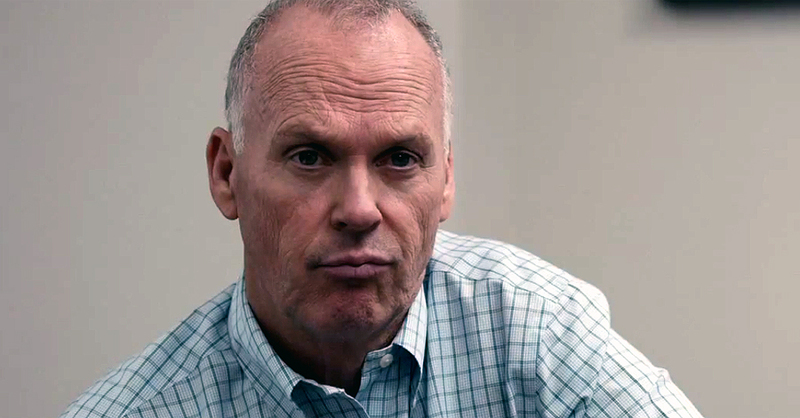 Spotlight a powerful newspaper movie with incredible casting. Brooklyn is an old-fashioned romance with a lovable lead performance. Love and Mercy, also a romance plus a dual picture of creation and horror. 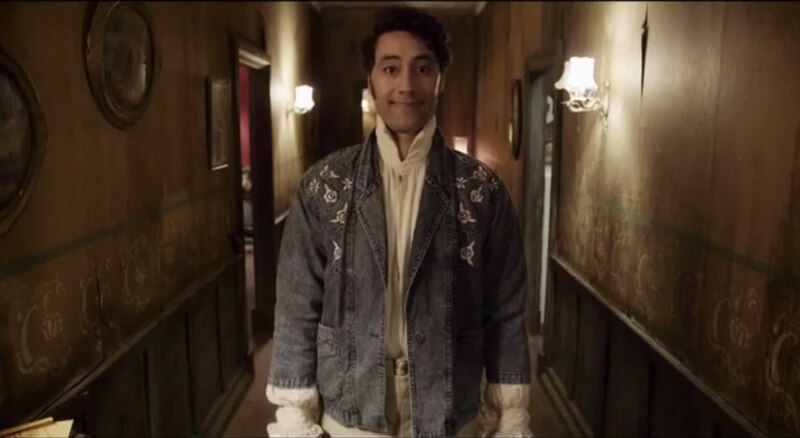 What We Do in the Shadows was a hilarious vampire mockumentary and Room showed earned uplift in the face of despair. Irrational Man didn’t get a lot a love but was a well-crafted work from an old hand and It Follows showed that horror movies are still capable of being scary, even when they are incredibly stupid. Aside from these “best” pictures, I should mention I had a lot a fun with other action oriented pictures including Kingsman, Blackhat, Chappie, Black Sea, and The Walk, the hindmost which is by no means even a decent picture but one with an extraordinary finale I would equate it to waiting in line for an hour on a hot summer day to ride the Millennium Force at Cedar Point. 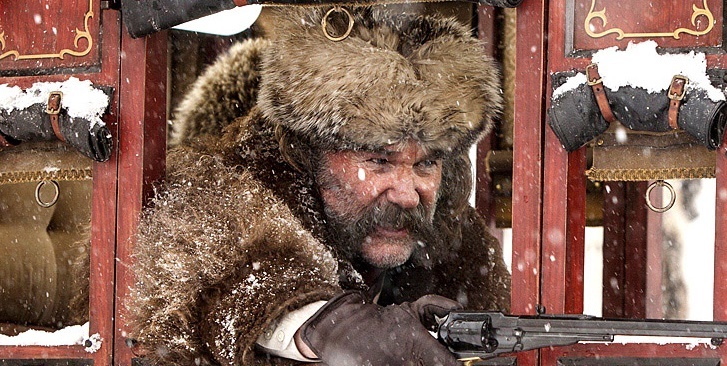 A bounty hunter (Kurt Russell) travels Wyoming mountain territory by stage chained to a valuable and deadly quarry (Jennifer Jason Leigh) he treats as a virtual punching bag. Along the way to Red Rocks where his target awaits hanging, he hesitantly picks up a fellow head hunter (Samuel L. Jackson) and an ex-Confederate (Walton Goggins) and a blizzard forces the group to hole up for the night at a remote outpost where one or all of its visitors (Tim Roth, Bruce Dern, Michael Madsen, Demian Bechir) may be in on an ambush. After spending a career addressing high expectations and criticism simply by crafting excellent, particular, stylish, violent, and outlandish films, Quentin Tarantino finally hits a major stumbling block with The Hateful Eight, completely playing into the critics’ hands with a self-important pretentious, trashy, violent for violence’s sake, stupid, and uninspired, schlocked out quasi-Western that feels like a gross imitation of his own work (this would have been a good one for Eli Roth to direct). 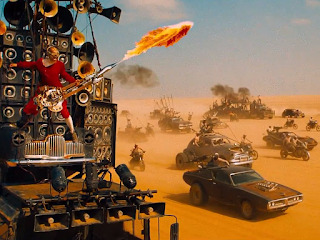 The cast, which has some strong points in support (particularly Goggins and Dern), is marred by an utterly lost Russell playing a lead, Jennifer Jason Leigh as a seriously confused character, and Jackson is employed again to do the same old tired thing he usually does in these movies which is to yell and intimidate. The Hateful Eight is a major disappointment that sees Tarantino losing control (if you listen closely you can actually hear him drooling over the script and reciting the words) and seems like something made in the wake of Reservoir Dogs, instead of progressing into the great filmmaker that he is. Nigerian pathologist Bennett Omalu (Will Smith) prides himself both on striving to be an American and being as methodical and personable with the subjects on his slab at the Pittsburgh coroner's office, often to the chagrin of his coworkers. When Steelers great Mike Webster arrives at his table, a Hall of Fame Center who died in his pickup in madness and disgrace, Omalu works his theory that years of head trauma from football led to his condition and takes on the ruthlessly resistant NFL. 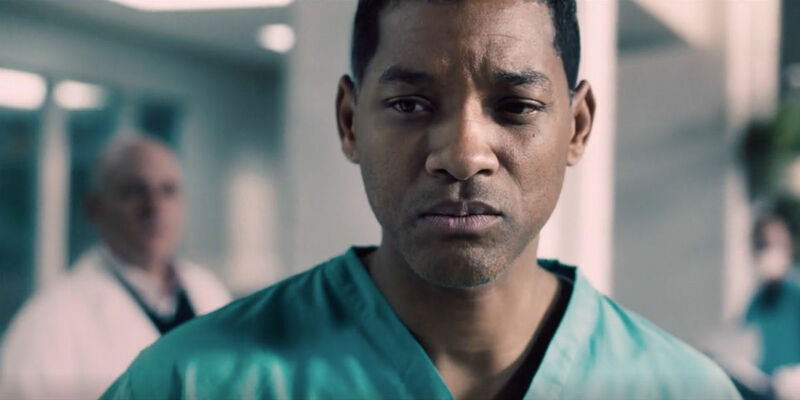 Peter Landesman's Concussion, which he adapted from a GQ article by Jeanne Marie Laskas, begins with the qualities of a nice quiet thriller and features a (unrepresentative) nice quiet performance from Will Smith but quickly devolves into a trite, obvious David vs. Goliath preachfest starring the martyr St. William. 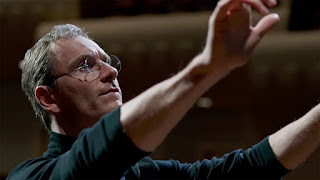 What many would call a timely film comes way too fast on the heals of events depicted and the movie clearly struggles to fill its narrative and present its thesis in a non-cliched fashion. 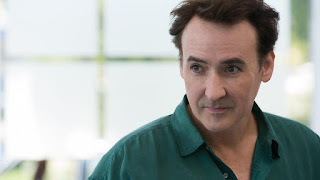 Supporting actors Alec Baldwin, Albert Brooks, and Luke Wilson are liabilities. Following the triumph of the Republic and the Death of Darth Vader, the tide has turned back to the Dark Side. Now the newly arisen First Order, led by the malevolent Kylo Ren (Adam Driver) searches the galaxy for Luke Skywalker (Mark Hamill), the last remaining Jedi, whose whereabouts have been stashed in a droid by an ace Rebel pilot (Oscar Isaac). Now General Leia's (Carrie Fisher) only hope lies in the hands of a rogue Storm Trooper (John Boyega), a fiery junk collector (Daisy Ridley), and some old allies of the Republic (Harrison Ford, et al). Disney's cash cow or J.J. Abrams' continuation of the Star Wars saga is made with regard to the original series and great craftsmanship in terms of cinematography and special effects. Although this reverence is probably what fans want following the much maligned prequels and what seems like unanimous acclaim this past week, The Force Awakens is so derivative and so self-referential, essentially playing like a point by point remake of A New Hope (the finale is particularly dull and recycled) while tossing in many other elements of and references to that hallowed first series. The inclusion of old characters serves as distracting asides while new cast additions are charasmatic and welcomed. A socially awkward, non practicing MD, and current investor (Christian Bale) foresees the housing crash and plunges his client's capital in betting against that market to their great chagrin. This perceived lunatic scheme is grasped by several members of the financial sector (including a Wall Street hotshot (Ryan Gosling), a moralizing hedge fund manager (Steve Carell), and two greenhorn investors who gain the ear of an financial guru (Brad Pitt)), who piggyback on the idea and profit enormously off the country's devastation. Adam McKay begins The Big Short with an approach as shaky as the housing market it describes with an inexplicable, uncinematic mumblecore approach while going to too great of lengths to make its material accessible including characters breaking the fourth wall, asides, cameos, drawings, graphs, onscreen dictionary entries, and other docu-style gimmicks used to enhance boring subject matter. 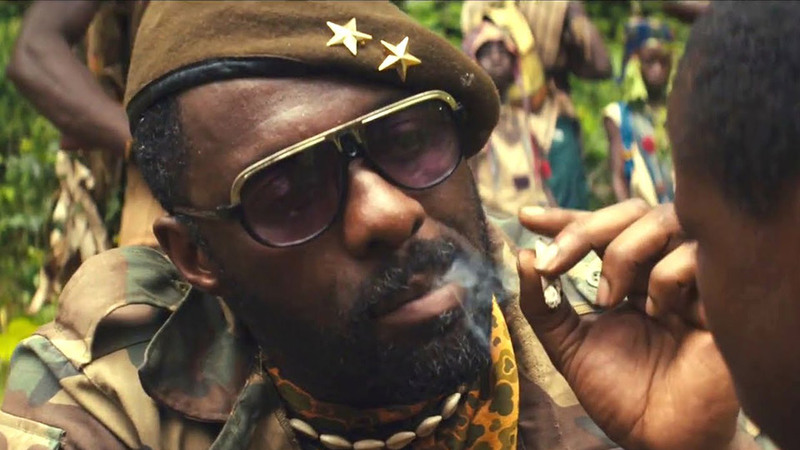 However, as the film grows closer and closer to the market collapse, it dials down the gimmickry and its minimalist approach gains traction and begins to complement the material and the angry sentiment quite well. The cast is excellent with the exception of Pitt, who again exists solely for delivering a culminating sermon. Bale and especially Carell are standouts. An upstart (Dan Aykroyd) has everything in life a young blueblood could ask for: a managerial position at a brokerage firm, a Philadelphia town home, butler, a posh limo, and a beautiful, equally wealthy fiance. That is until he bumps into a boisterous street hustler (Eddie Murphy) who is falsely accused of robbery, which gives the executive's conniving bosses an idea for a wager: Test the heredity vs. environment theory by reigning down hell on their subordinate, taking away all his worldly possessions and offering his position and goods to the con artist. John Landis' Trading Places is an uneven although amusing comedy that, despite some mild vulgarity, still has a cinematic quality that has been virtually extinguished in modern comedies. Above all, the film is notable for a truly excellent early performance from Murphy. A lively family of actors gather at their mothers on Christmas Eve for a night of drunken revelry. Soon, the eldest brother and troupe leader expires on stage leaving his widow to remarry a tyrannical Lutheran bishop who removes her two children from their inspiring family household and subjects them to an austere, monastic form of living. 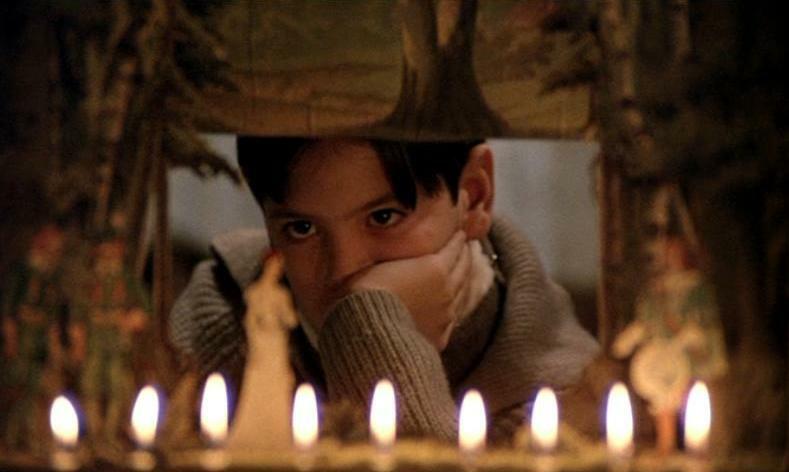 Upon its release, Fanny and Alexander was announced as the final film of Ingmar Bergman and can be viewed as a vividly sumptuous summation of the director's work and life, who here presents a simple story functioning on a visceral level with brilliant staging, wonderful acting, and Sven Nykvist's unforgettable closeup cinematography. A saxophone player bears the suppression of daily life in Moscow until the circus he works for tours in New York City and he finds himself making an unplanned defection in Bloomingdale's. 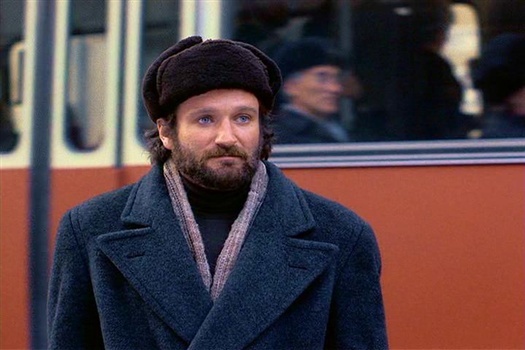 Moscow on the Hudson features Robin Williams in top form surrounded by wonderful troupe of unknowns. Paul Mazursky's socially conscious film works best in its obersavtions, whether examining day-to-day life in communist Russia or the immigrant experience, but it tries to hard to editorialize and comes off as less clever than it thinks it is. A reviled industrialist (Richard Widmark) lies murdered in his sleeping car on the Orient Express leaving quite literally an entire train full of suspects (Sean Connery, Ingrid Bergman, Vanessa Redgrave, Michael York, Anthony Perkins, and John Gielgud among others) and, conveniently, the renowned Belgian detective Hercule Poirot, now tapped to lead the proceedings. Sidney Lumet's adaptation of Agatha Christie's detective novel takes a long time to get moving, but the inquest is a lot of fun and Poirot's outing of the guilty party is downright delectable if not completely ludicrous. Extraordinary exterior visuals prevail and an astounding and unrecognizable Finney dominates over an all-star cast. We now find Carey living happily in Berlin, no longer with the agency and working for a private firm. Still her life remains in danger do a classified documents leak and the actions of a compromised agent, who also casts suspicion on Saul and places Quinn in direct contact with a terrorist cell who are planning an imminent strike. Season 5 represents a major setback for the series, one which has shown glimmers of rebounding but has never been able to consistently find its footing as storylines wear thin and fail to gain traction. Cast addition Miranda Otto is a highlight of the season , despite the ludicrosity of her far-fetched character. Season three picks up with Carrie being the subject of Senate Investigation following the catastrophic attack on CIA headquarters, Brody seeking asylum in South America, and his family grappling with the horrific act. The fourth season sees Carrie named station chief in Kabul where she is faced with a Benghazi-like invasion and a hostage situation involving her mentor Saul. Following the outlandish second outing, Homeland returned with an intense, exciting, though still nonsensical third season, with superfluous domestic scenes at the Brody household taking away from the focus of the show. The fourth series is somewhat lacking and, due to the "terror threat at home" nature of the program, loses something by being set almost entirely overseas. Rupert Friend shines in support. Following the botched attempt on the Vice President's life, Brody is now learning the ropes as a freshman U.S. Congressman while Carrie, teaching English as a second language and recovering from her stint in the booby hatch, is contracted by the CIA to lend her expertise to an expedition in Beirut. As Abu Nazir moves his pawns into place for his next terrorist attack, Carrie and Brody's stars align once more, placing their careers and lives into imminent danger. 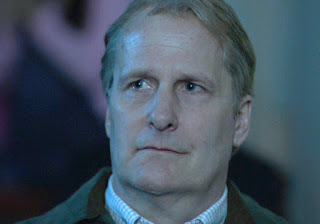 It becomes clear that the high-wire act done so well during the first season cannot be maintained, and while all the pieces don't quite come crashing down, preposterous plotting has seized the day. Clare Danes character, where she was so effective before, has become nearly intolerable, going into hysterics several times an episode. Damian Lewis is doing what he can, and I think he should be commended for going through some of the things they put his character through with a straight face. Perhaps the most disappointing aspect of the show is how insipid Mandy Patinkin's Saul has become and the addition of Rupert Friend adds very little, if anything to the series. Most of these complaints can be chalked up to the writing. How could anyone seriously expect the show to maintain its momementum? And while the leads still maintain rooting interest, the second season plays its cards way too fast and serves them up in ways we can't possibly accept. sidenote: As the "Homeland" season finale concludes the shows I watch for the year, I feel obliged to comment on the disappointment of nearly every series I've followed this year, especially one's in their sophomore season ("Homeland", "Games of Thrones", "Downton Abbey", "Sherlock"). 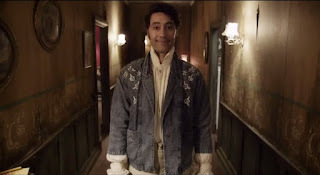 In what has been termed as a "Golden Age of Television", these and other fan favorites such as "Boardwalk Empire" and "Breaking Bad" make it seem like a low karat era. A Marine (Damian Lewis) is rescued after eight years of being held captive in an Iraqi compound, and returns home to much fanfare and great difficulty adjusting to domestic life. Meanwhile an ambitious, volatile, and surreptitiously bipolar CIA agent (Clare Danes), having been informed several months prior by an al-Qaeda bomb maker that an American POW has been turned, suspects the heralded Marine of being the conduit of the next terrorist plot against the United States. "Homeland" is an ingeniously plotted tightrope act, which seems doomed to fail but never looses its footing once. Developed from the Israeli series "Prisoners of War" by Howard Gordon and Alex Gansa, who take their unlikely story to an intense, sheerly believable level because they always prioritize the human elements. Ten years after his tremendous work on "Band of Brothers", Damian Lewis returns with another powerful performance in a uniquely American role. 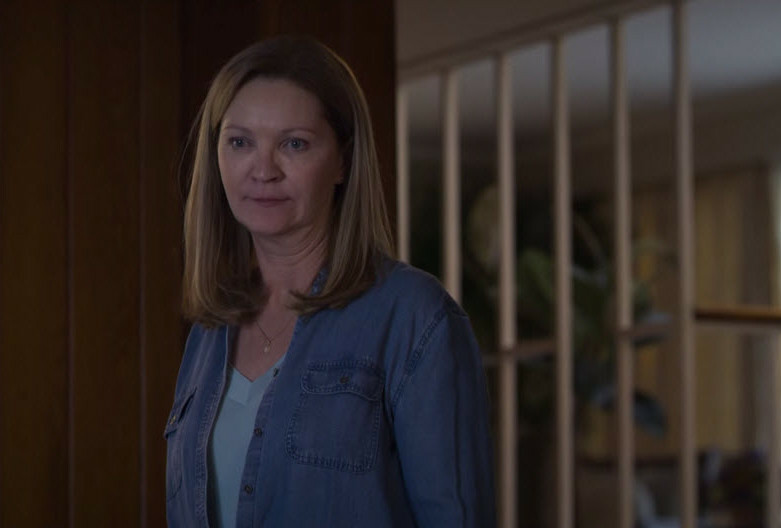 As the unorthodox agent running a one person operation, Clare Danes is excellent and has some heartbreaking, almost unbearable scenes later in the season. Mandy Patinkin also contributes tremendous, nuanced work as a veteran operative and mentor/counterbalance to Danes. The plot description for "Homeland" makes one think of something destined for a short-lived run on network television, but due to the intelligent and sensitive writing (I can't stress this enough) and its endearing, perfectly realized cast, the first season is something of a wonder. 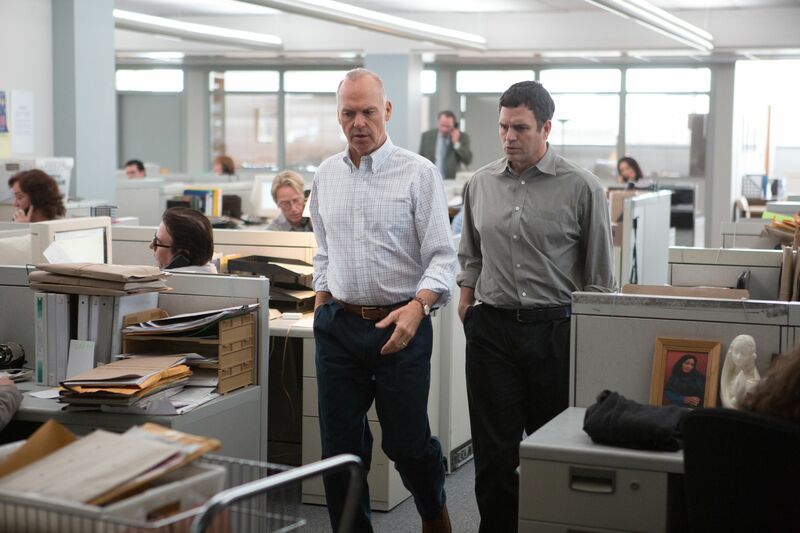 Tom McCarthy's Spotlight, which he authored with Josh Singer, is an involving, surgical, non-flashy, and thoughtful treatment of the Boston Globe's 2001 Pulitzer Prize winning investigation into the Catholic Church's cover-up of its sweeping sexual abuse scandal. 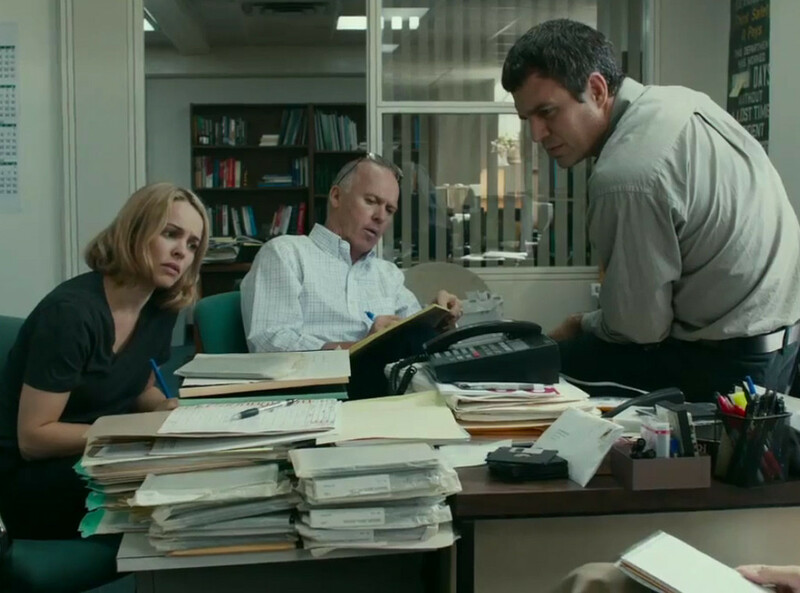 Told in the tradition of the best newspaper movies (All the President's Men, His Girl Friday, Zodiac, etc.) where the innerworkings of the paper reinforce other elements of the film, McCarthy and Singer do an excellent job of presenting a complex case with many names, intricacies, and angles (even if it does seem to overreach at parts). What is most striking about the production is the performances, possibly the best large cast in memory, all contributing powerful deeply felt performances: Michael Keaton, Mark Ruffalo, Rachel McAdams, and Brian d'Arcy James as the covert investigating team leading the inquest, John Slattery and Liev Schreiber as their Globe superiors, and Stanley Tucci and Billy Crudup as attorneys on opposite sides of the same moral coin. A morose, retired composer (Michael Caine) is vacationing at a Swedish spa with his daughter/personal assistant (Rachel Weisz) who has just been jilted by the son of the musician's lifelong friend (Harvey Keitel), a director mapping out his latest venture and also staying at the resort. 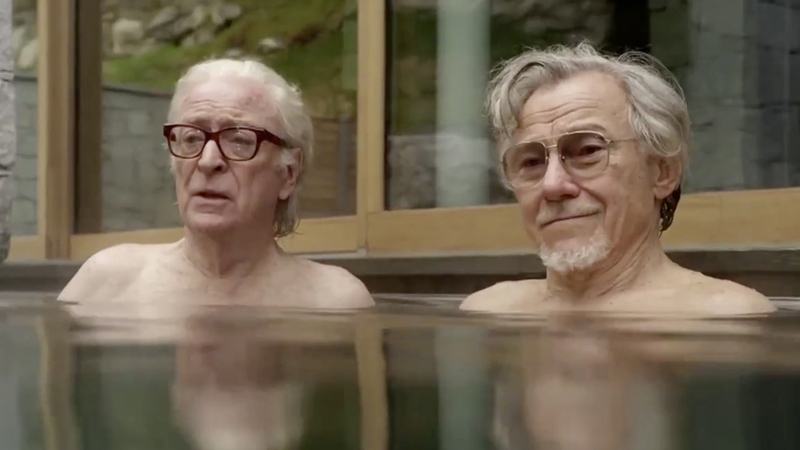 Like This Must Be the Place and his grossly overpraised The Great Beauty, Paolo Sorrentino's Youth is soaked in artifice and basked in pretension with competent performances from its aging stars failing to elevate the dreadful material. Jane Fonda arrives near the film's close in a tersely powerful performance which turns some of the picture's ostentation on its head. In the late 1980s, the patriarch and youngest son of a respected middle class New York family are charged, arrested, and convicted of a series of odious, unthinkable crimes which caused a local media uproar and continue to divide the community and Friedman family to this day. Like he did in his riveting miniseries The Jinx, with Capturing the Friedmans Andrew Jarecki presents its grey area, tragedy laced case study remarkably well and reserves judgement for the viewer, shedding one revealing strand of light on the subject just when you think you're mind is made up. Furter, excellent, eerie use of home video footage is incorporated into this morose documentary. 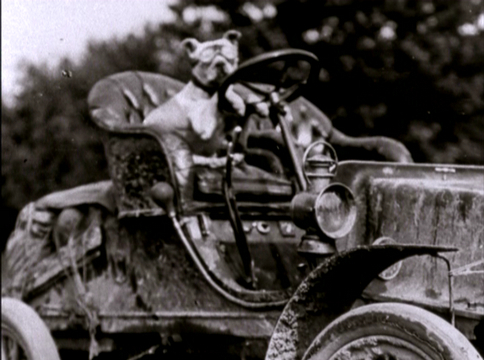 In 1903, after accepting a $50 bet, Dr. Horatio Nelson Jackson set off from San Francisco with associate Sewell Crocker and his pit bull to traverse the continent all the way to New York in a minor episode which would quickly evolve into an all-out publicity war waged by the major car companies in what would eventually come to be known as the country's first cross country commute by way of the newly invented automobile. Horatio's Drive is a nice, brief change of pace for Ken Burns in which he and cowriter Dayton Duncan effectively reveal an impressive and amusing little known story. Laura Poitras’ acclaimed documentary Citizenfour, which is comprised of a series of interviews with highly paranoid Edward Snowden in his Hong Kong hotel room shortly after his dissemination of classified NSA material in 2013, is really just a structureless exercise that doesn’t really tell you anything you didn’t know already about the subject with the ‘you are there’ effect quickly wearing away. Matters are made worse by the director opting to tell the story in first person and attempting to elevate herself to hero status by constantly reminding the viewer of her involvement of the subject matter since its inception and referencing her other noble factuals. 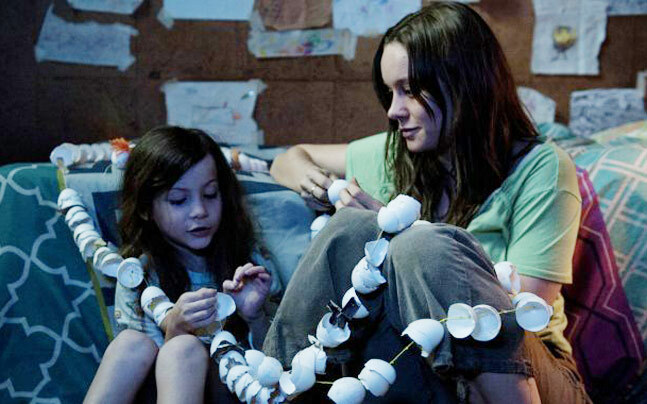 A girl born with autism and signs of other severe mental defects is kept out of institutions as a child and sent to live on a ranch with her aunt (Catherine O’Hara)as a teen (Clare Danes). There she shows profound animal empathy, even developing a mechanism to calm the animals. 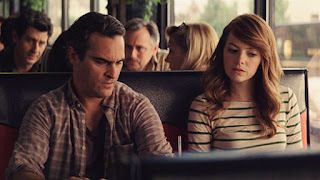 When arriving at the social terror that is college, she is mentored by a compassionate teacher (David Strathairn) who fosters her natural ability, leading her on the path of becoming a leading agricultural adviser. 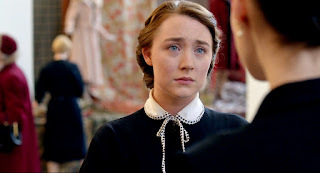 Temple Grandin sidesteps usual biopic traps and, with excellent performances from Danes and Strathairn, strives to use innovative techniques to tell the story of a truly unique individual. Following a five year prison sentence, a burglar is tempted to return to a life of crime, eventually succumbing to take part in a jewel heist where in its aftermath things inevitably head south. Jules Dassin's Rififi is a tough, pristine crime thriller headlined by a stoic performance from Jean Servais and punctuated by many unforgettable scenes including the silent burgalry sequence, the fate of the Italian safe cracker, and final death march. 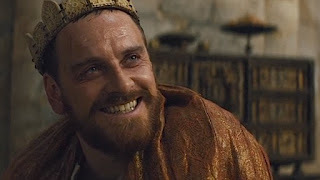 The Bard's tragic tale of the ambitious, feeble minded, and ill-fated Scottish Thane has been told many times on film, often in exemplary productions. 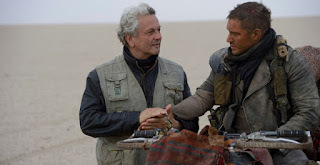 Justin Kurzel's latest adaptation, a bloodied, scenic, and dourly sumptuous take made in the viscerally violent vein of the recent Aussie cinema, is enervating enough to stand aside Welles, Polanski, and Kurosawa, creators of story's finest entrants. 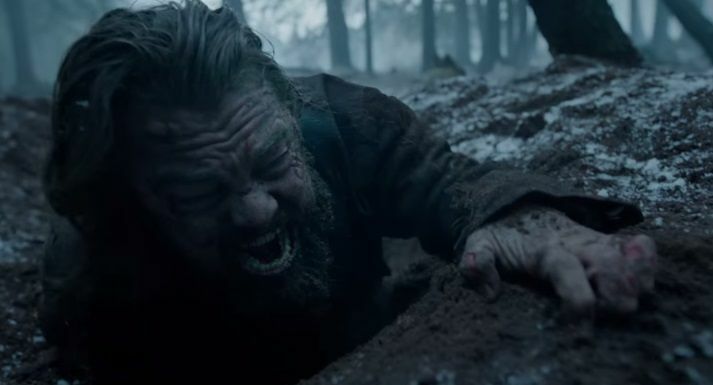 To open up the material, Kurzel starts with a frigid and savage opening battle and an awe inspiring closing onlaught, engages in frenetic cutting, and has his characters break the fourth wall. Michael Fassbender brings a sullenness and quiet ferocity to the title role and I wish there was more of Marion Cotillard as Lady Macbeth, who again demonstrates why she is one of our finest actresses. The doomed couple is surrounded by an upstanding supporting cast, all in fine form, Paddy Considine, David Thewlis, and Sean Harris among them. Disaster strikes at every turn as a group of small town fireman ineptly prep for their annual gala. 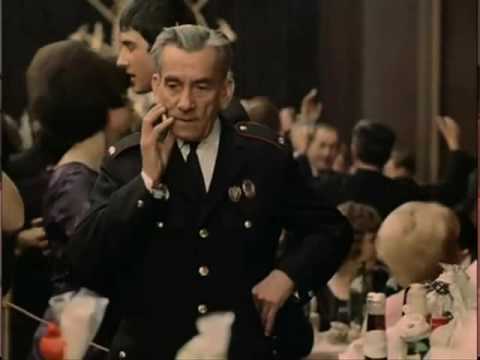 Milos Forman’s The Fireman’s Ball is a funny, sly critique of the Czech communist regime, made with distinctive, memorable types, outlandish situations, and brilliant photography and direction, and also the reason its overseer had to leave his homeland. China’s Communist Revolution of the 50s and 60s is seen through the eyes of a young boy, as members of his family are tragically affected in varying ways by the horrors of the political system, with the title plaything serving as a symbolic familial bond. Tian Zhuangzhuang’s The Blue Kite is an angry, overtly political film dealing with the lives of everyday people and containing several moving, memorable moments. On a cold and foreboding Nantucket eve, Herman Melville (Ben Whishaw) approaches a boarding home and residence of the last known survivor (Brendan Gleeson) of the Essex in order to gain a deposition on the disastrously horrific expedition as research for his latest, all-consuming whaling epic. Still trembling at the recollection nearly 30 years on, the sailor recalls his days as an adolescent aboard the recently renovated and stately ship under the command of an inexperienced snobbish captain (Bennjamin Walker) and a brash first mate (Chris Hemsworth), and how pride and a white whale of untold size and majesty left the crew shipwrecked and resorted to untold terrors. 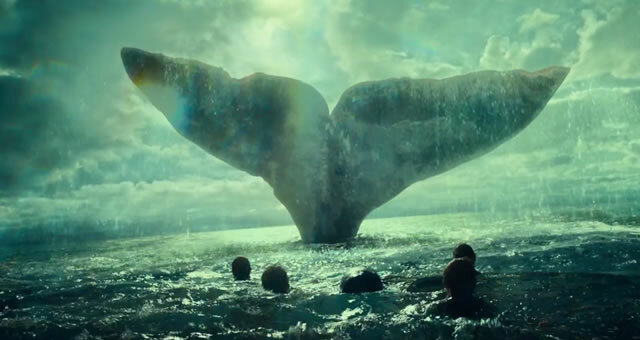 From a novel by Nathaniel Philbrick, Ron Howard’s In the Heart of the Sea is frustratingly inconsistent on several levels, ranging from exhausting to exhilarating and muddled to magnificent. An intriguing narrative structure is undone by a simplistic story that favors exhibition over substance and these disparities even extend to its use of 3D which is at times exemplary, brilliantly blending fore, middle, and background and perfectly muddled and incoherent at other times. Hemsworth is likable but the story is confused on how to present his character and, more dire, on how to achieve its lofty aims. As the Earth's governments wage a losing battle against mechanized alien life forms, a military officer (Tom Cruise) realizes he has the ability to see the future and relive the present. 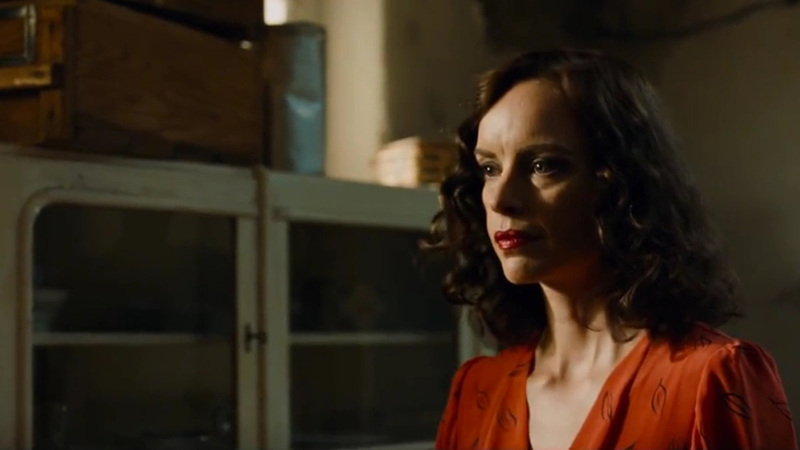 Now he must align himself with the field commander (Emily Blunt) and convince her of his supernormal capabilities. Doug Liman's Edge of Tomorrow is excellent popcorn fare, with Cruise and Blunt further demonstrating their appeal, that is not tarnished by a loud, muddled, and largely incomprehensible ending. Watching this entertaining, tacky extravaganza, my mind went to the dreadful Pacific Rim, a film which shares surface similarities, the comparison of the two showing the two different directions such material can take. 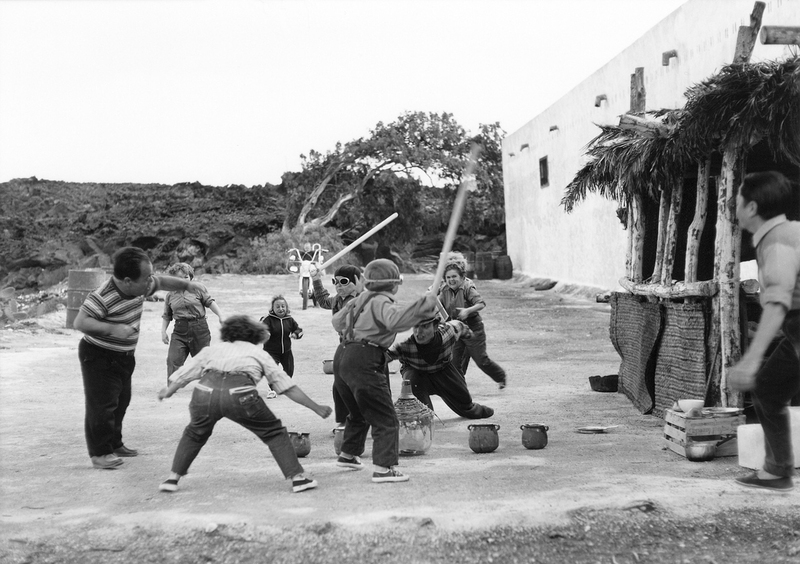 A group of mentally disturbed halflings take control of their rural institution, detaining the headmaster while performing a series of abnormal and destructive rituals. Even Dwarfs Started Small, an early entry from Werner Herzog, is an incredble blend of bizarre imagery and visionary staging, which also is virtually plotless, existing almost solely as weirdness for weirdness' sake. 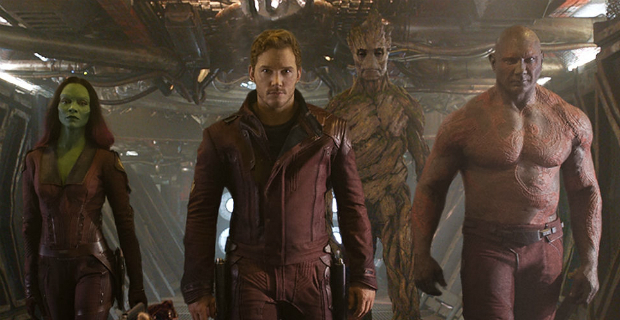 Abducted by alien space marauders as a child, Peter Quill (Chris Pratt) steals a mysterious, forceful globe, finds himself the target of ruthless mercenaries, and falls in with a band of eccentric bounty hunters. James Gunn's Guardians of the Galaxy has its moments and a unique individualistic sense but is the kind of superhero fodder ultimately geared toward middle schoolers which surprisingly took on a mass audience due to the appeal of its star and cast, and the strange, offbeat approach to its generic genre. As an anti-communist wave spread across the country, with fears of it being dispersed by red agents of Tinsel Town, screenwriter Dalton Trumbo (Bryan Cranston) and the other members of the Hollywood Ten were called in front of the House Un-American Activities Committee, found guilty of contempt of Congress, jailed, and blacklisted. Defiant in the face of injustice, Trumbo continued to work, polishing off B-picture scripts while anonymously penning screenplays for classics such as Roman Holiday, Spartacus, and The Brave One. 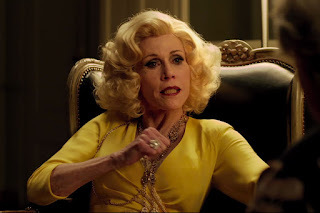 Jay Roach's Trumbo is the type of rambling, sanctimonious Hollywood prattle where the audience is supposed to ooh and ahh at the Hollywood legends (John Wayne, Kirk Douglas, Edward G. Robinson, Otto Preminger) being portrayed on screen by miscast or third rate actors while the filmmakers hope they ignore the total incoherent mess being presented to them. 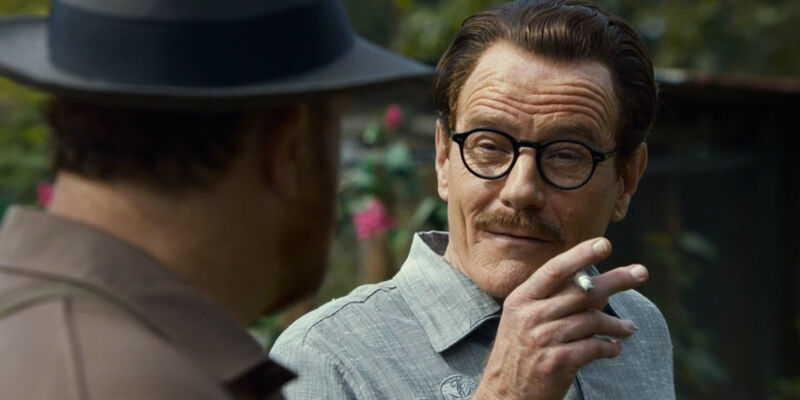 Cranston's performance is credible though one-dimensional and the film never even bothers to provide background or attempt to get inside the character's head or explore his genius. As written by John McNamara from a book by Bruce Cook, Trumbo is the kind of senses dulling drivel its subject wouldn't even think twice of assigning his name to.